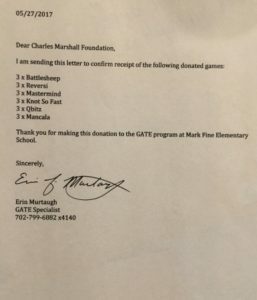 Erin Murtaugh, GATE teacher at Mark Fine Elementary School made a WISH for several mind stimulating and fun games for her classroom. 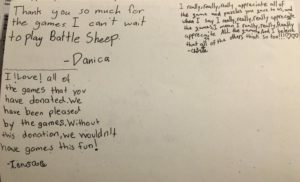 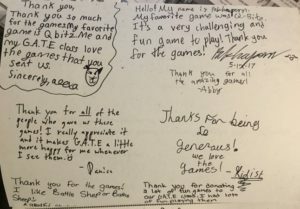 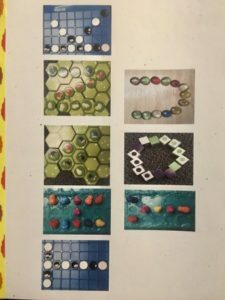 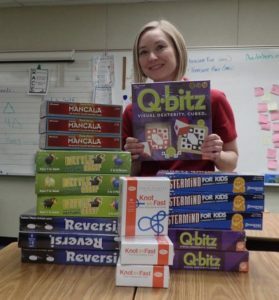 Q-Bitz, Battle Sheep, Mancala, Reversi, Mastermind, and Think Fun Knot So Fast are now part of her students game collection to make learning more fun! 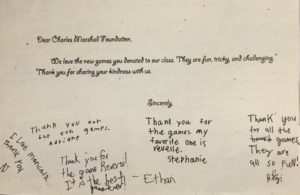 Her students were thrilled and so were we! 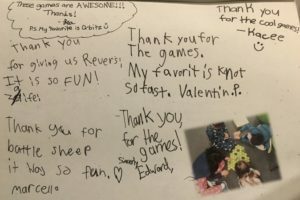 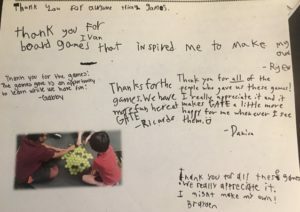 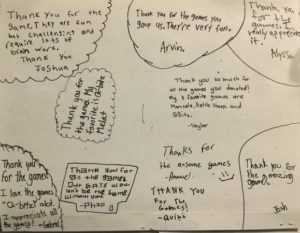 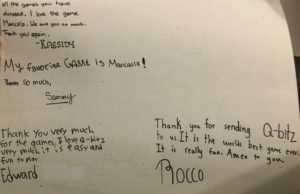 We love getting thank yous from our friends. 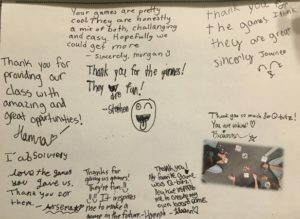 It is always our pleasure!